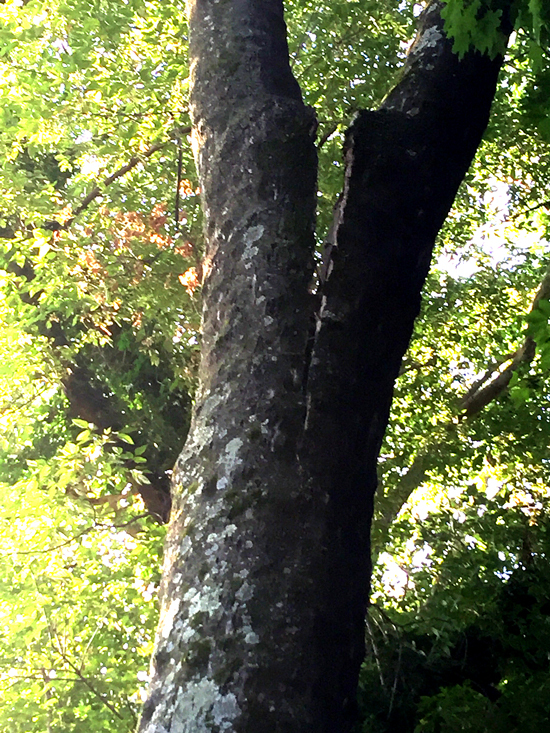 If you have a tree with co-dominant stems and you see those stems separate like these two are doing, then the tree should be removed as soon as possible. ? ?Cabling systems can be installed in trees with multiple stems to help reduce the risk of this happening, but the cables need to be installed before the stems start to fail. This tree, which is an ailanthus, is a very fast growing species. The faster the growth rate of the tree, the weaker the bonds of the wood are and that increases the risk of failure. 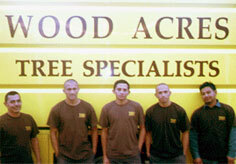 Contact Wood Acres Tree Specialists to inspect your trees. This entry was posted in Cabling & Bracing, Tree Removal and tagged tree and shrub specialists, tree bracing, tree cabling, tree service Bethesda md, tree service Brookville md, tree service Burtonsville md, tree service Cabin John md, tree service Chevy Chase md, tree service Clarksburg md, tree service Colesville md, tree service Darnestown md, tree service dc, tree service Derwood md, tree service Gaithersburg md, tree service Germantown md, tree service Glen Echo md, tree service Kensington md, tree service Olney md, tree service Potomac md, tree service Rockville md, tree service Silver Spring md, tree service Takoma Park md, tree service washington dc, tree split stems. Bookmark the permalink.